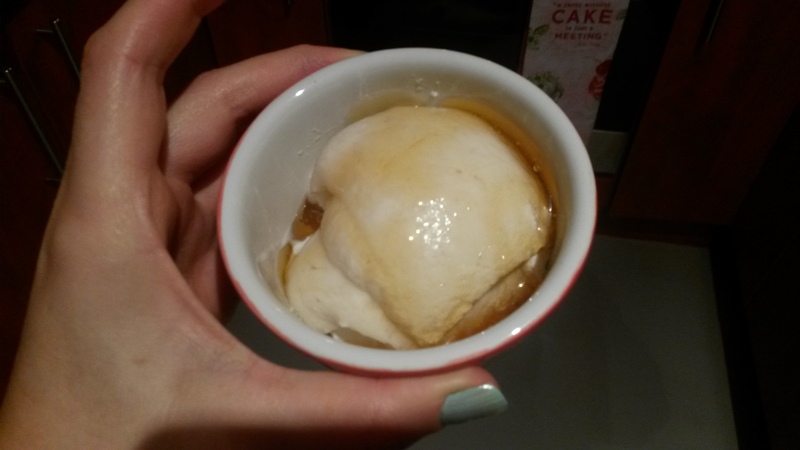 Day 83: Dairy-free SCD yogurt recipe – a SUCCESS! This recipe is based on a few different ones that I’ve tweaked/combined, but I mainly used the recipe from Thetastyalternative.com. I’ve included the links at the end. As always with homemade yogurt, you need to plan ahead: It takes about 30 hours from step 1. Step 1: Soak your cashews in water for around 8 hours. I put them in a sealed container and keep them in the fridge, then rinse them when done. Step 2. Make cashew milk. Cashews are the most awesome nuts to make milk from because they break down completely – no need to strain the milk. Put your cashews into a blender with 2 cups of water (filtered if you like). Pulse a few times to break up the nuts, then let it run on high speed for a few minutes. Check to make sure the nuts are completely broken down (if not, blend a little more), and then leave to stand for 10 or 15 minutes. Remove the thin layer of foam that forms on top. Step 3. Make coconut milk. Add your coconut together with 2 cups of hot (not boiling) water to your blender. Blend for about 3-5 minutes, until it’s nice and creamy looking. Pour the milk into a strainer lined with cheesecloth or a nut milk bag, and strain it. Then, gather up the bag/cheesecloth and squeeze until you’ve extracted all the milk. Of course, you can use the pulp for cereals, bakes, etc, or dry it out and turn it into coconut flour. Step 4. Heat your milks. Add 2 cups of coconut milk and 2 cups of cashew milk to a pot (you may have a little leftover), together with the vanilla extract and honey. 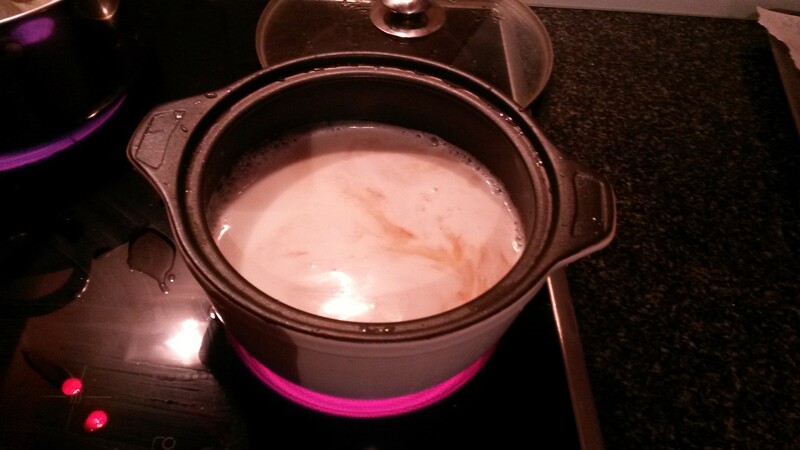 Heat on a very gentle simmer until you reach 85C (185F). Always remember to stir the mixture well before taking a temperature reading. I use a clay pot for this step. Keep a close eye on the milk and don’t let it overheat, boil or burn. Step 5. Cool your milk. Take your mixture off the heat and allow it to cool to 43-49C (110-120F). While you’re waiting (I usually place it in a sink full of cold water and ice packs), mix 6g of gelatine with 75ml room temperature water and let it sponge. Step 6. Add your gelatine. 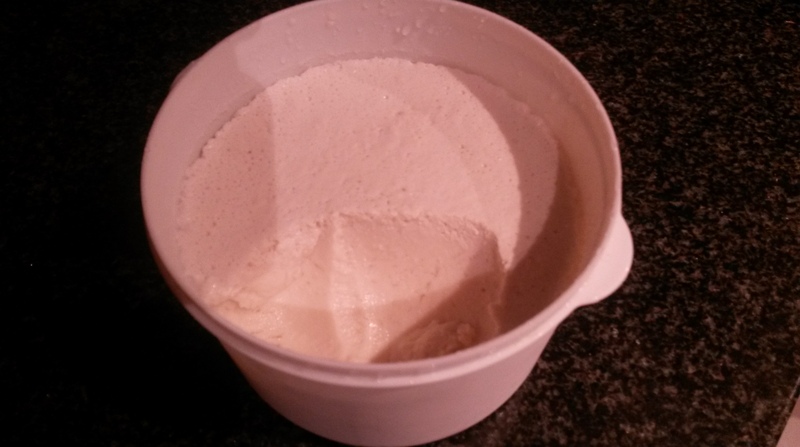 When the milk has cooled to the right temperature, add your gelatine. 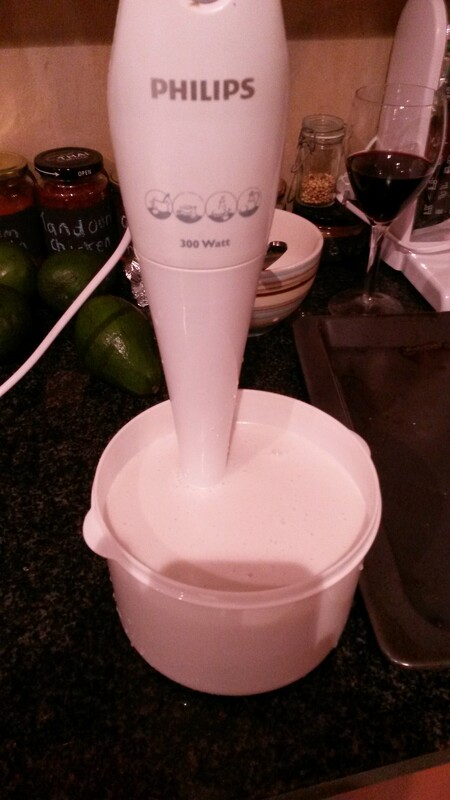 Ensure that it is well incorporated by using a stick blender to give it a good proper mix. I always clean my stick blender with boiling water before hand to make sure it hasn’t got any other bits of food/flavour still stuck to it. Step 7. Cool again. Place the pot back into the cold water and let it cool to around 38C (100F). Give it a good stir. Step 8: Add your yogurt starter. At 38C/100F, add your starter to the mixture. You could also use 5 capsules of probiotics instead. Give the mixture another good spin with the stick blender. Step 9. Incubate . 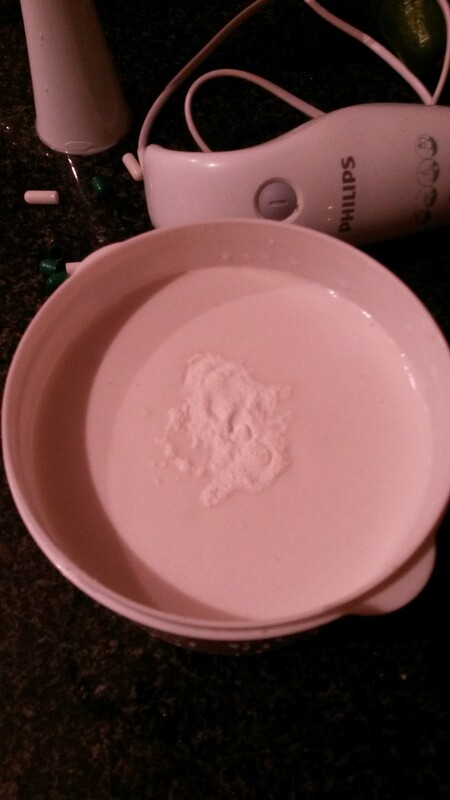 Pour your mixture into a sterilised container, and place it into your yogurt maker. It will need 12 hours here, so overnight usually works best. Step 10. Refrigerate. After 12 hours, remove the container from your yogurt maker and give the mixture a good stir to re-incorporate any gelatine that’s separated. Let it stand for about an hour, then put it in the fridge for at least 8 hours. Your yogurt is ready! I always add honey to mine because I find it quite tart, but it’s not necessary. It’s a delicious, excellently textured yogurt that is a real pleasure to eat. Enjoy! 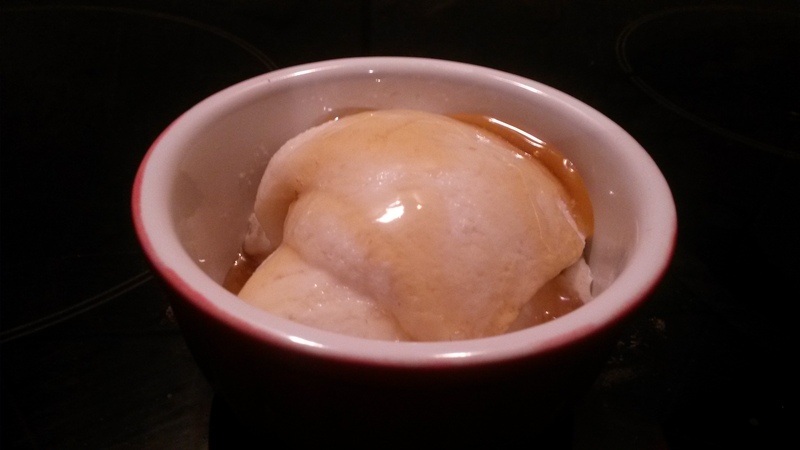 – Thetastyalternative for this amazing yogurt recipe which I have shamelessly hijacked. 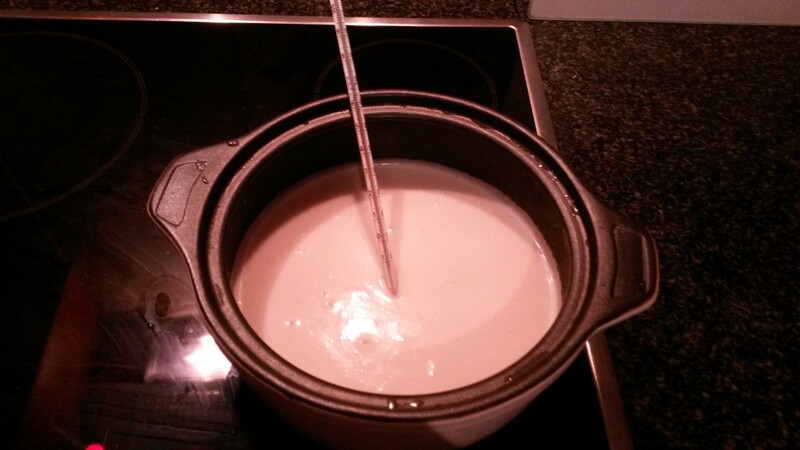 – WellnessMama for the instructions on making coconut milk. – Cookies and Kate for the tips on making cashew nut milk. What an awesome post!!! Thanks so much for the shout out. I agree that this yogurt recipe is very pleasing. I LOVE how you used shredded coconut to make the coconut milk. I’m definitely going to try that. Thanks for the inspiration! I’ve been trying to kick my coconut milk can addiction. Love your blog. I always enjoy meeting new bloggers that are healing their IBD with diet. Be Well. This is awesome! 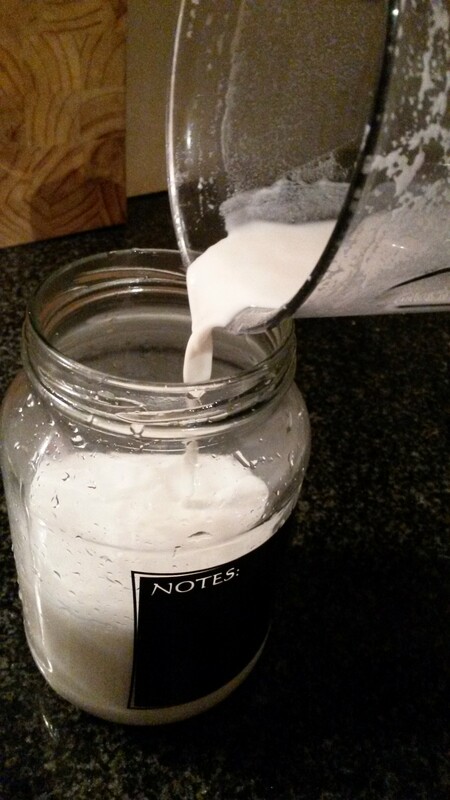 I’m trying this tomorrow when my 24 hour milk yogurt is done. I have tried almond milk yogurt before, and it didn’t have the right texture, it tasted gross, and my kids wouldn’t touch it. My whole family is about to go on the GAPS diet and I have one that is dairy intolerant, so I was looking for a good yogurt substitute to try to help get good probiotics into the diet. I think this will be a good addition!